First Baptist Church of Dayton was founded on May 29, 1824 – only 19 years after the city itself was incorporated – by a small band of Calvinist Baptists. After three years of supply pastors, in 1827 the church hired its first regular pastor, D. S. Burnet. The young (19 years old at the time of hire!) Burnet was a powerful preacher, and within two years First Baptist membership had jumped from 13 to 84, making it the largest church in the town (which in 1830 had a population of 2950). Numerical growth notwithstanding, First Baptist was bucking dramatic changes in the American religious landscape. It was the time of the Second Great Awakening, marked by an emphasis on evangelical revival and fierce opposition to Calvinism. Alexander Campbell was one of the leading figures in the Awakening, and in the wake of his 1829 visit to Cincinnati the Campbellite movement – which emphasized the right of each layperson to read and interpret the Bible for themselves, and which sought to replace denominational “systems” with the New Testament — swept southwest Ohio. Interestingly, after having paid such a high price for their Calvinism this tiny band of loyal Baptists did not remain rigidly Calvinist. Instead, in the five years after the split they began to incorporate practices more in keeping with the Second Great Awakening, instituting a Sunday School and actively supporting missions. Both Sunday School and missions work were anathema to the hard-core Calvinists who dominated the Miami Valley Baptist Association. As a result, in 1836, the First Baptist Church of Dayton (along with three other Baptist churches in southwest Ohio) was booted from the organization. But as First Baptist increasingly moderated and eventually abandoned its Calvinist commitments its numbers grew dramatically (by the late nineteenth century the Sunday School had over 700 members) while the hyper-Calvinist churches struggled to survive. This determination to stake out a moderate theological course – better stated, this determination to navigate between theological extremes – sets the pattern for First Baptist’s history. And it is not the only way in which the church’s early history prefigured what was to come. From the very beginning, with D. S. Burnet, the First Baptist Church of Dayton has prized gifted preachers and strong leaders as senior pastors. This point is underscored by the photos of the First Baptist ministers that currently line the hallway between the sanctuary and the Christian education complex, photos that go all the way back to Burnet (a photo which serves as a telling counterbalance to the plaque in the foyer honoring his opponents). In the latter part of the nineteenth century that man was Henry Francis Colby, who pastored the church from 1868 to 1902, while also serving as president of the American Baptist Missionary Union, the president (for 22 years) of the Board of Trustees of Denison University, and the president of Miami Valley Hospital (19 years). Colby cemented a third characteristic of First Baptist, that is, it has always understood itself as playing an important role in the city of Dayton and in the larger church. This was clear in the hiring of J.C. Massee as senior pastor in 1912. Massee had been pastor of First Baptist in Chattanooga since 1908, and in that time the church membership roll had increased by 500. More than this, Massee was an internationally renowned evangelist – as First Baptist’s pastor he organized a number of revival meetings in Dayton, as well as continuing his larger evangelistic campaigns – who had published two books and had received an honorary doctorate from Mercer University. He assumed the First Baptist pastorate just in time to shepherd the congregation through the building of a new church. Ground was broken just three months before the devastating March, 1913 flood that swept the city, killing 360 people (and swamping the standing First Baptist building with nine feet of water, as well as the foundation for the new church). But Massee expertly guided First Baptist through the crisis: when the floodwaters abated, and the city had begun to recover, the building resumed. The cornerstone was laid on May 31, 1914; on June 26, 1915 the magnificent Gothic structure opened its doors, the back of the building abutting the Miami River, and its grand entrance — befitting its understanding of its role in the city – proudly facing Dayton’s downtown. This beautiful edifice remains the home of First Baptist Church today. Massee was strongly committed to Biblical inerrancy and dispensational premillennialism. Given his prominence it was not surprising that he was present for the first meeting of the World’s Christian Fundamentals Association in Philadelphia in May 1919. Not coincidentally, in 1919 Massee also left First Baptist of Dayton for the more prominent pulpit of Tremont Temple in Boston; from this location he served as one of the major leaders of the emergent fundamentalist movement (although, in keeping with the Calvinists who founded First Baptist, he ended up being excoriated by fundamentalist leaders for not being sufficiently fundamentalist). One might take from the Massee pastorate – which was clearly a great success – that by the early 20th century First Baptist Church of Dayton had lined up on the conservative side of the great divide in American Protestantism. But as indicated above, First Baptist has historically resisted affiliating itself with one theological extreme or the other. So but twelve years after Massee left for Boston – in 1931 – the church hired Charles Seasholes as senior pastor. With a doctorate from Newton (now Andover Newton) Seminary, Seasholes was a charter member of the Roger Williams Fellowship, a liberal group in the American Baptist Convention that prized diversity of opinion on the denomination, and that was committed to the notion that “the New Testament is the all-sufficient ground of our faith and practice” (which of course D. S. Burnet and the Campbellites proclaimed at First Baptist in 1829, much to the consternation of the “faithful eight”!) 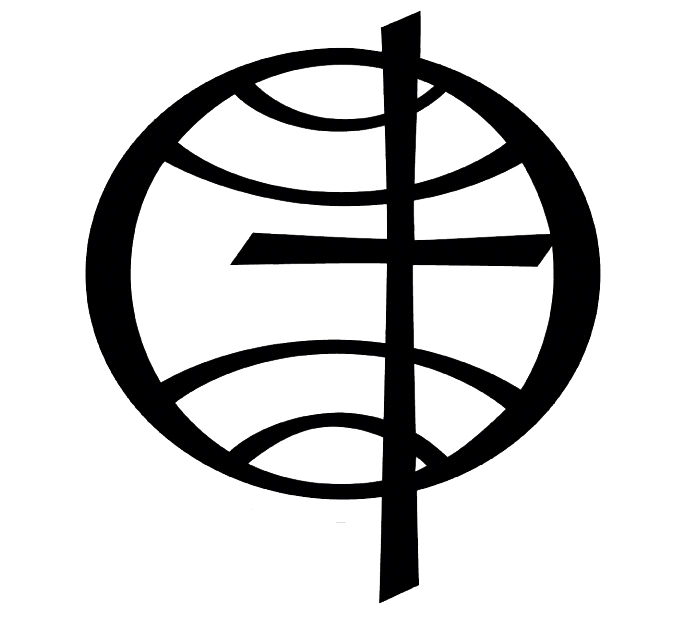 Seasholes was also very involved in the ecumenical movement, even serving as a delegate to the initial meeting of the World Council of Churches in 1948. At First Baptist Seasholes introduced the practice of ministers and choir wearing robes and organized Wednesday evening lectures on world problems and Sunday evening book review discussions. He served on innumerable city committees and boards, helped bring Planned Parenthood to Dayton, and presided over Orville Wright’s funeral in January of 1948. Thanks to Rod’s faithful preaching and leadership, the work of a dedicated pastoral staff, and a good number of energetic laypersons, First Baptist has experienced tremendous renewal. We now find ourselves in a time of change and transition, following Dr. Kennedy’s retirement as our lead pastor in February of 2016. Still, we are moving forward in faithfulness and in anticipation of all that God has in store for our church. For all that has been we say, Thanks. And for all that will be we say, Yes.